The Rona Barrett Foundation, a non-profit founded 17 years ago by television entertainment news pioneer, Rona Barrett and is dedicated to providing care services and housing solutions for in-need and vulnerable senior citizens, is proud to announce that one of the greatest Jazz bands of our time – the legendary Count Basie Orchestra – will hold a benefit Jazz concert on Saturday, July 8 at 7:00 p.m. at the historic Lobero Theatre in Santa Barbara. 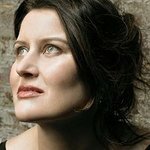 Grammy Award-winning singer/songwriter, Paula Cole, is set to perform with the band as guest vocalist. “The Count Basie Orchestra, directed by Scotty Barnhart, is pleased to be a part of this inaugural benefit concert event at The Lobero Theatre for The Rona Barrett Foundation. This concert merges Rona’s previous entertainment career with her current one in helping underserved senior citizens, inclusive of Alzheimer’s care. The Legendary Count Basie Orchestra has been entertaining audiences all over the world since 1935 and we are excited to entertain Santa Barbara jazz lovers at this historic venue while making money for a very worthwhile cause!” says the Count Basie Orchestra in a joint statement. What started as a dream twenty years ago, became a reality when Rona Barrett had the ribbon-cutting ceremony for the Golden Inn & Village (GIV) in October 2016. The Golden Inn & Village, situated on approximately 7.3 acres in the bucolic Santa Ynez Valley community, is the first affordable independent living Campus in the area, currently housing nearly 100 underserved senior citizens. Under the Foundation’s vision of having a continuum of care model – which would bring housing and healthcare under one roof — seniors who reside at the Golden Inn & Village will eventually have the opportunity to seamlessly transition, due to health and life circumstances, to either Alzheimer’s or Assisted Living care without ever having to leave the Golden Inn & Village. “Harry’s House – A Home for Alzheimer’s and Assisted Living at the Golden Inn & Village,” is scheduled to open in 2018. For more information or to purchase tickets, please log onto www.lobero.org or call the BOX OFFICE directly at (805) 963-0761.